Can’t decide between cooling off on pool or a sumptuous lunch on a fine day during your trip? 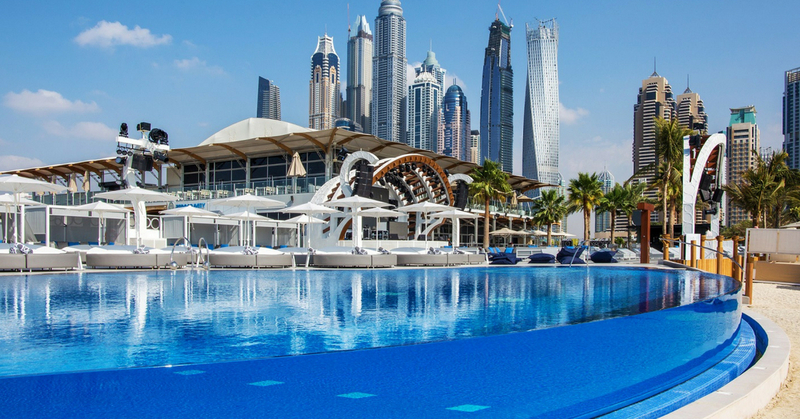 You can choose both at some of the best poolside restaurants in Dubai. These teasers of the restaurants are just enough to excite you to book a Dubai tour package and pack your bags! Infini Pool Lounge of Sofitel Hotel is where you’d want to unwind after going through a stressful week; you can also visit the place during weekdays as it is open every day. The captivating lounge offers two courses, Serene Mornings, and Infinite Infini. Serene Mornings is perfect for enjoy the bright and re-energising views of the cityscape while cooling off with a mocktail. But if you want to witness the lush evening sun bid adieu to the Arabian Riviera, then book your spot for the Infinite Infini course which starts from 1pm to 5pm, ever day. 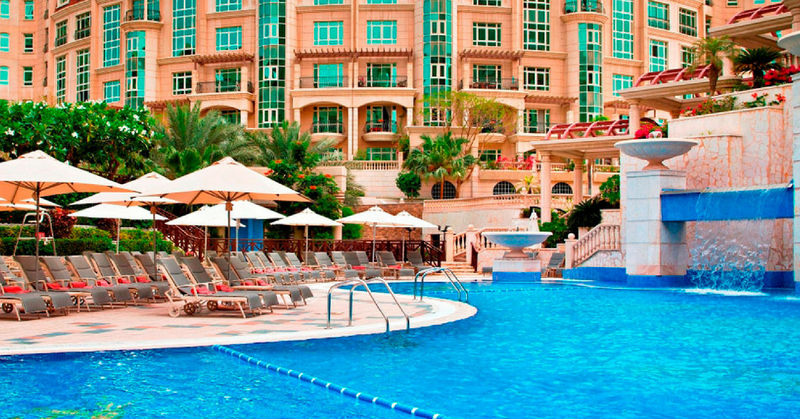 For a perfect day by the pool, book your slot at Raffles. The hotel’s pool restaurant and bar is perfect for taking that much-deserved relaxing break. Enjoy poolside fun while treating your taste buds with fresh juices and light meals. If you are visiting the place with your best buddies, then make sure to try the bar’s offerings and get a little tipsy. As this spot of this hotel is high profile, make sure to look your best in casuals or swimwear. Anees Pool Bar of the prestigious hotel, Roda Links Al Nasr, is perfect place for enjoying an ambient outdoor fun, while escaping the hustle and bustle of Dubai. 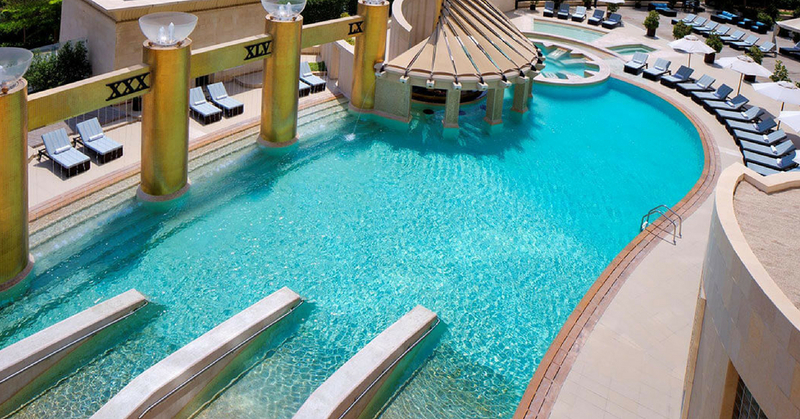 To cool off in the warm Dubai weather, enjoy a relaxing swim in the hotel’s outdoor pool. Have fun conversations with your friends or mingle with new people you meet while enjoying the drinks served in the bar. Burj Al Arab Terrace is undoubtedly an ultimate city-side escapade as it is specially designed and affixed to the side of the 7 star hotel. You can enjoy never-seen-views of Dubai, Palm Jumeirah, and Burj Al Arab from this iconic hangout spot in the city. The terrace houses dedicated butler-serviced cabanas, two stunning pools (one salt water pool and one fresh water pool), and Scape Restaurant & Bar. 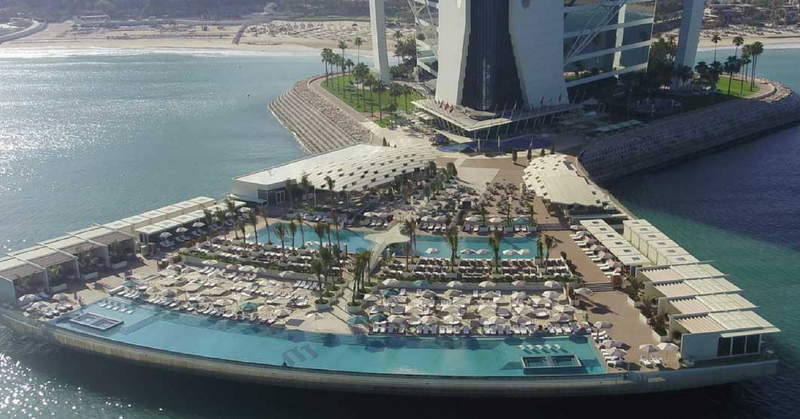 The finest Arabian hospitality offered in the terrace includes exclusive sun loungers and swim-up counters. 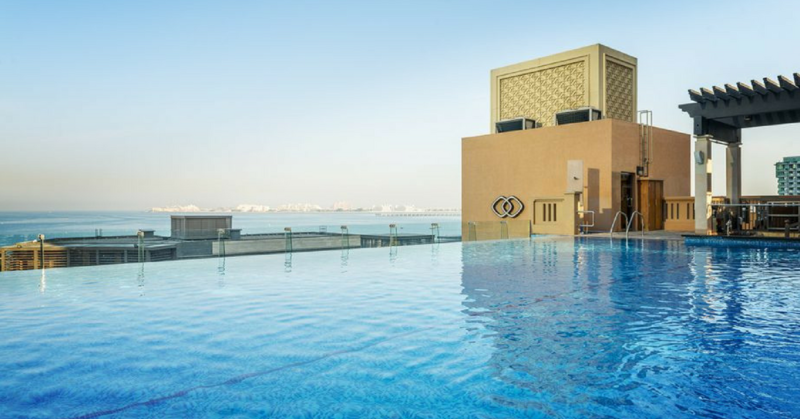 If good food and music is your thing, then you can double the fun by witnessing captivating views of the expansive infinity pool in Zero Gravity. The landmark beach club also houses a fresh-focused kitchen which serves an international menu. Enjoy major musical acts while savouring delectable recipes and cooling off in the club’s private beach-front. From booking holidays destinations to flights and hotels, we at Tourient, are focused in ensuring that your trips are hassle-free and enjoyable. We offer more than 447 package at 165 international destinations to cater to your wanderlust. Explore our international holiday packages at https://www.tourient.com.